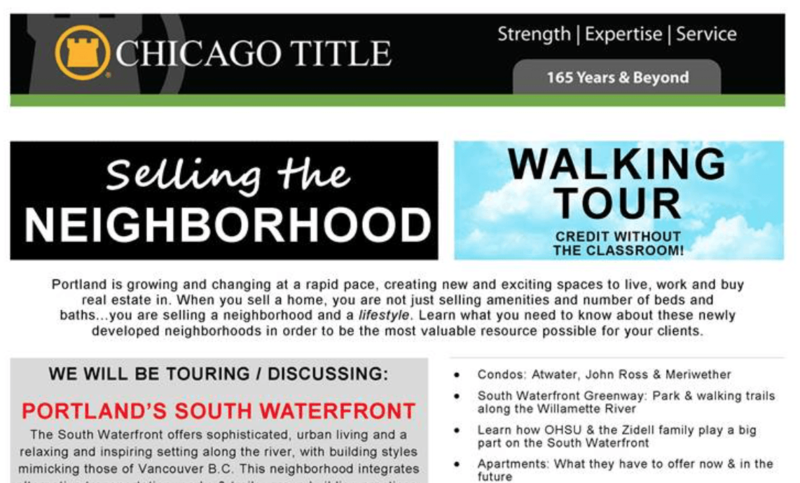 On September 24th, 2015, Sean Z. Becker Real Estate hosted Real Estate Brokers from across the city for an educational walking tour of South Waterfront. Hilary Alter from Zidell joined us for this informative and educational outing. This event was sponsored by Chicago Title. Read “South Waterfront walking tour” here.